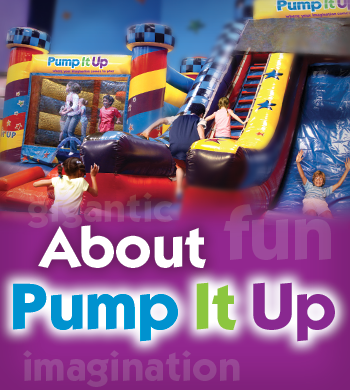 Pump It Up of Mobile, AL has been operating in the Mobile area for over 10 years! We have been home to over 20,000 parties in the Mobile area!!! We are proud to have been voted #1 Party Place for a birthday party for the 2015 edition of Lagniappe newspaper readers. We have also been noted as Best Children's Birthday Place by Mobile Bay Parents Magazine and the Mobile Press Register in recent years. While private, indoor parties and special events are our specialty, we also host many field trips, Youth Group events, Corporate parties and have occasional Open Play. Call us or come see what everyone is talking about!